We bring more than just a squeaky clean attitude to your windows and glass cleaning – we bring innovation. 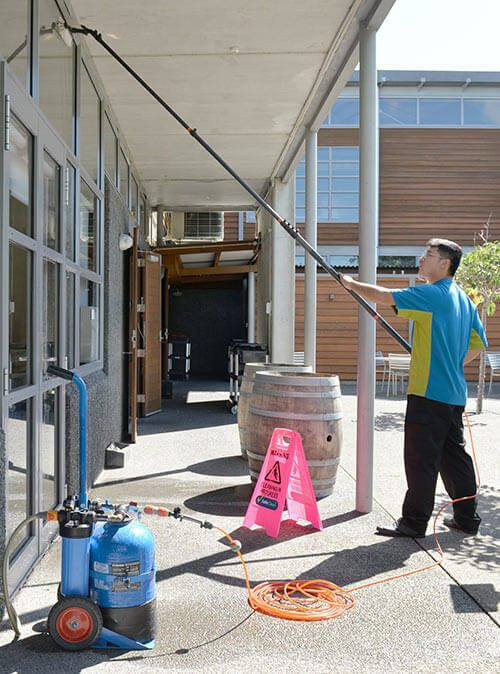 Pure Water Window Cleaning uses high-tech water filtration, which removes all solids from water, allowing only pure water to clean windows…without spotting or streaking. With a carbon fibre pole, one operator can clean high windows, window frames and glass fast and efficiently. And Health and Safety is double ticked! CrestClean’s Pure Water Window Cleaning provides cost effective, chemical-free window cleaning solutions for buildings up to 4 storeys high. 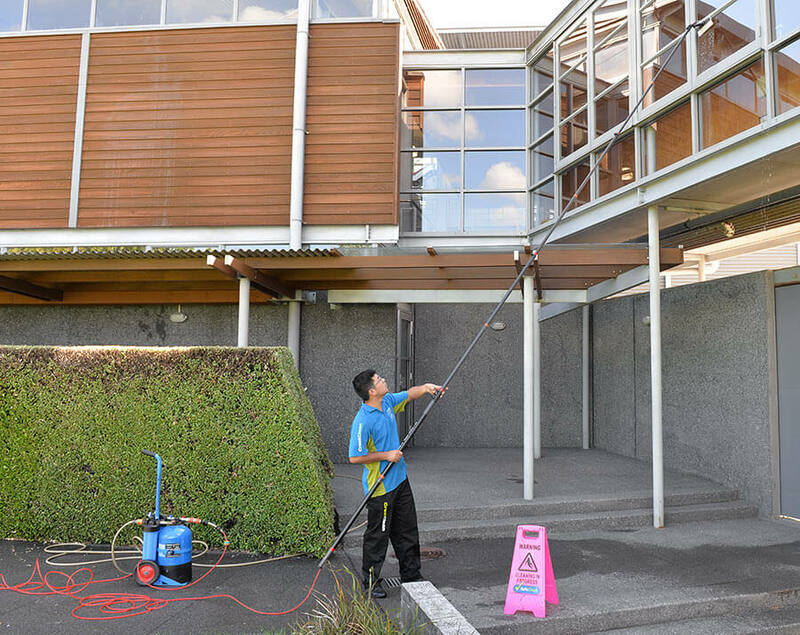 No chemicals are used with Pure Water Window Cleaning, which makes it both economical and environmentally responsible. Water becomes more aggressive the purer it gets and is a natural detergent that helps loosen the bond of dirt from the glass at an ionic level. Water that’s free of impurities makes detergents and chemicals unnecessary, and rinses cleaner, leaving a streak and spot free surface. With the latest carbon fibre extendable poles we can clean windows up to 4 storeys high without using lifting platforms or ladders, making Pure Water a safer alternative to other commercial window cleaning operations. There is no chance of property damage from ladders and heavy equipment. Our special water purification machines do not require power, only a hose tap. Risks and hazards are dramatically reduced when compared with conventional window cleaning processes, because our operators work from the ground using carbon fibre poles. We do not work from heights, or use ladders or platforms. All activities are conducted under SafeClean®, our Health, Safety and Environmental Management Systems, which are specifically designed to minimise the risk of our work on your premises.